But these accolades aren’t the main reason I teach a seminar focusing on Ashe’s life. 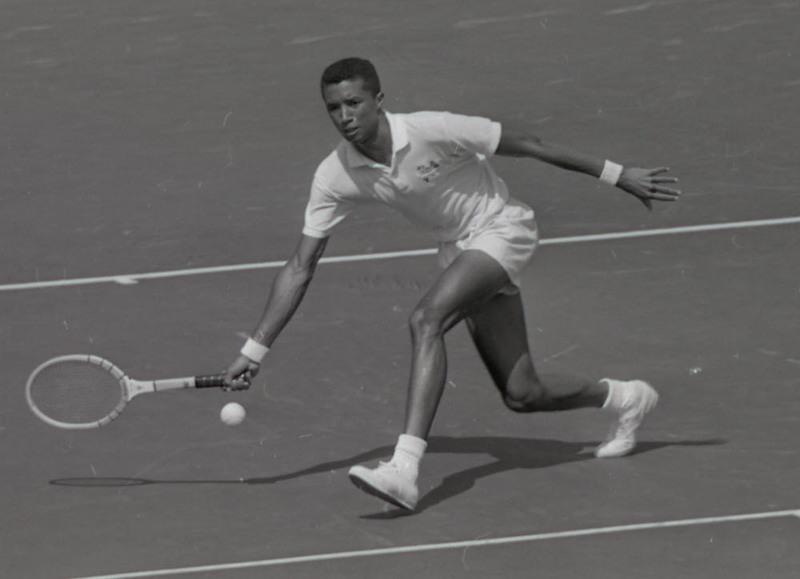 The trajectory of this tennis player’s life—from his birth in the Jim Crow South of the 1940s to his untimely death from AIDS in 1993—brings much of the American century to life for my students, with all the complexity that gets lost when we think of these people solely as the achiever of milestones. And, perhaps because recent history is often the most neglected history, it is also the vital missing link in explaining to my students where we’re coming from as a society, and providing them with exemplars as they face similar challenges in their lives. In Richmond, blacks could not say that they were denied the amenities afforded whites. Their park had a tennis court, too, although the trappings of tennis were largely unattainable to most of Richmond’s African-American community. But sports became the special lubricant—and motivator—in Ashe’s life. Young Arthur thrived by having tennis courts in his backyard and the attention of one of the only black coaches of the era, but he beat his local opponents too easily. Since the segregated school system precluded him from playing whites, his father agreed with a coach’s recommendation that his son should spend his senior year in St. Louis, where race would not restrict his range of tennis opponents. Today, most parents are loath to move for fear of incurring the wrath of teenagers separated from their friends and the rituals of graduation. But Arthur Ashe, Sr.—Arthur’s mother had died when he was six—split up his close family of three in order to expand Arthur’s opportunities. And it worked. A stellar senior year in St. Louis positioned him for offers of tennis scholarships. Inspired by the example of Jackie Robinson and wooed by legendary tennis coach J.D. Morgan, Arthur Ashe entered UCLA in 1962. While Ashe was playing tennis and pursing his military obligations, other African-American young people were engaged in direct political action and at times he faced withering criticism for not joining in the struggle. Indeed he was booed at a speaking engagement Howard University because the students were incensed that he had played tennis in Johannesburg, South Africa. He encountered controversy again in 1992 when he announced that he had contracted HIV, the virus that causes AIDS. Ashe had become infected years earlier from blood transfusions necessitated by heart attacks at a relatively young age. But this was an era when the stigma against HIV and AIDS was severe—because it was assumed that only gay men or IV drug users got the disease. Ashe’s ability to deal with his diagnosis in private was shattered when USA Today shared with him its plans to “out” his HIV status, forcing him to announce his illness in a hastily arranged press conference. A colleague down the hall from me stopped buying that newspaper the day she heard about its role in Ashe’s life, and she still holds a grudge more than two decades later. But Ashe didn’t shy away from his association with the disease once the news became public: He was an activist to the end. Ashe dedicated himself to AIDS awareness and used his visibility to draw attention to the plight of black South Africans and Haitian refugees. When I contemplate the character traits I want this generation of college students to embody, Ashe provides a good checklist. Not only was he a tennis star of the first order, he also wanted to help the next generation, establishing junior tennis leagues and coaching the U.S. Davis Cup team. Ashe took being a student-athlete, and not just an athlete, quite seriously throughout his life, and wanted to influence how the public looked at African-Americans. He crafted the first major study—three volumes in length—of African-American sports history. He also penned numerous op-ed essays and several other books, including his best-selling autobiography, Days of Grace. He was a shrewd businessman who knew how to take the comparatively modest tennis purses of his day and invest them prudently. He married once and well, to Jeanne Moutoussamy-Ashe. Once engaged in an issue, he persevered. 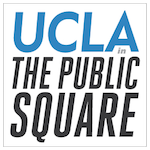 Patricia A. Turner is a faculty member at UCLA and serves as dean and vice provost of Undergraduate Education. She is the author of four books, including Crafted Lives: Stories and Studies of African American Quilters. *Photo courtesy of Los Angeles Times Photographic Archive, UCLA Library, copyright Regents of the University of California.